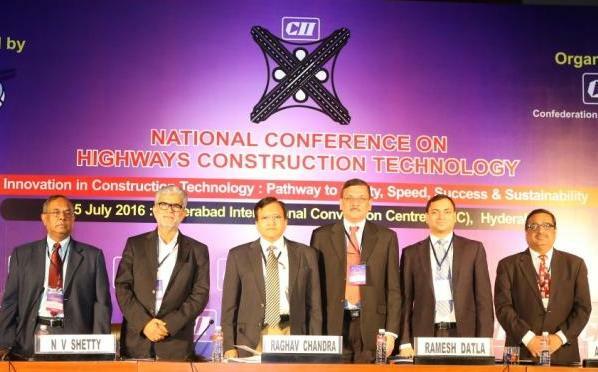 14 July 2016, Hyderabad: Confederation of Indian Industry organized the first day of two day National Conference on Highways Construction Technology focusing on ‘Innovation in Construction Technology – Pathway to Safety, Speed, Success and Sustainability’, here today. NHAI has around 250 projects across the country and had completed around 400 projects in the past. It is expected to spend 15-16 billion dollars in the year 2016-17. The sale of construction equipments has grown-up drastically. There are 97 projects covering 6,631 km and worth of 1 lakh crore being awarded in 2016-17. Some of the major expressway projects touching Hyderabad are – Hyderabad-Vijayawada-Amaravathi Expressway; Nagpur-Hyderabad Expressway; and Hyderabad-Bangalore Expressway. Mr. Chandra also talked about Green Highways Project and the importance of Safety in the Highways, for which there are lot of opportunities through PPP mode. “The HHAI is keen to have private players to petrol the national highways, which would help in traffic management and maintain road discipline”, he said. The NHAI Chairman also touched upon the importance of use of products which are recycled and reused out of waste materials. “NHAI has initiated detailed studies about the feasibility of using waste materials in laying roads and to encourage the private sector to explore these options in infrastructure development”, he said. Mr. Ashish Chandran, Capital Projects & Infrastructure, PwC, in his address opined that there is a positive move from construction focus to operation focus. He also mentioned that the technology options has increased, which are cost reducing like e-tolling communications, information systems, etc. Mr N V Shetty, Chairman of the Conference & Chief Operating Officer of GMR Highways Ltd, in his theme address, pointed out that the Highways sector contributes about 5-6 % to the country’s GDP growth and this is largely driven by the ground breaking initiatives of the Central Government. 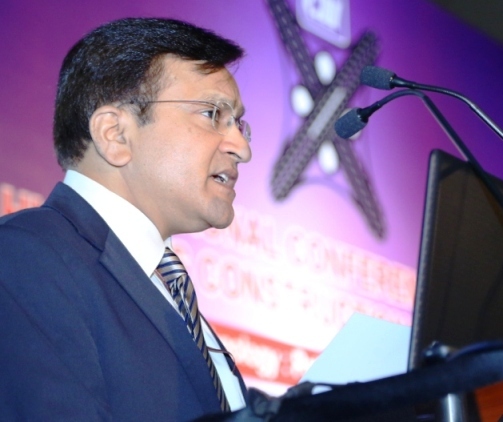 “India has a wide & vast network of roads, offering immense opportunities in the sector”, he said. Earlier Mr. Ramesh Datla, Chairman, CII Southern Region & Chairman, Elico Ltd., in his welcome address opined that continuous action on infrastructure investments, improving our connectivity through better roads and highways, rail networks and ports, uninterrupted power supply and communications network would go a long way to attract domestic and foreign investment on a sustained basis. These are the areas where other developing nations such as China are ahead of us and as a result are more competitive. Mr. Datla mentioned that the Government of India has exhorted highways builders, contractors, and skill development institutions to come forward in a big way to train the local, unemployed youth in highways construction, and to upgrade the skills of existing workers. “I would urge the Government to take the cost of training during the skilling period, as per the minimum wages”, he said. Mr. Nrupender Rao, Chairman, CII Telangana & Chairman, Pennar Industries Ltd. delivered a vote of thanks during the inaugural. The first day of the conference was well received with around 250 participants from the sector.